Sections of Renaissance paintings are mounted onto angular planters across the colourful short-term landscape set up at a Bergamo gallery by Studio Fink . 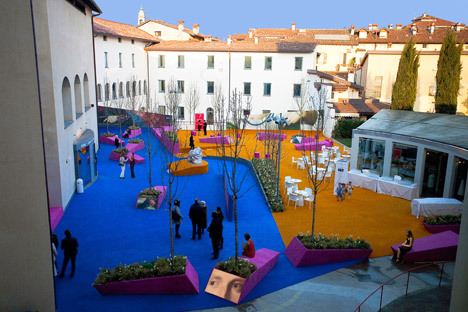 Studio Fink’s Palma de Vecchio Popup Square was produced at the Galleria d’Arte Moderna e Contemporanea di Bergamo (GAMeC) in northern Italy, to accompany a a hundred-day exhibition of Renaissance paintings by Italian artist Palma il Vecchio. The paintings have been brought with each other on loan from global institutions which includes the Nationwide Gallery in London, the Hermitage in St Petersburg and the Philadelphia Museum of Artwork, as properly as main Italian museums which includes the Uffizi in Florence, the Galleria Borghese in Rome, and the Gallerie dell’Accademia in Venice. 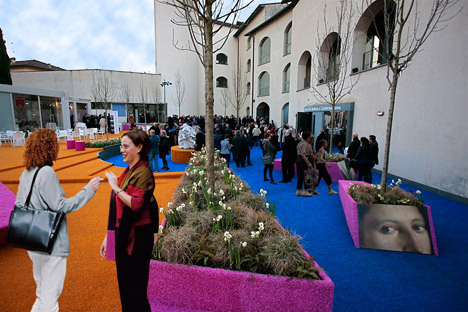 Led by artist Peter Fink, the studio transformed the museum’s “bleak, unforgiving” concrete courtyard into a brightly coloured landscape using astroturf. Influenced by the vibrant hues in Palma il Vecchio’s paintings, Fink wanted to develop a area for site visitors to interact just before and right after seeing the exhibition. 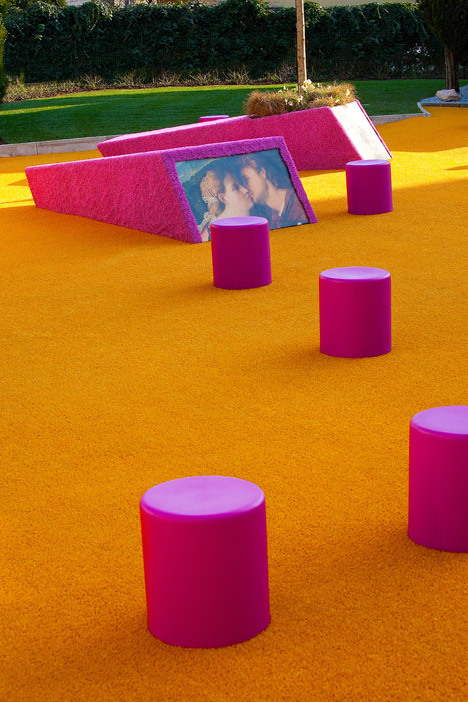 The enclosed area is divided into two main sections coloured blue and orange, whilst pink planters covered in the very same material are dotted around the area. Copies of portions of some of the most recognisable paintings in the exhibition are mounted on the angled sides of these raised components. 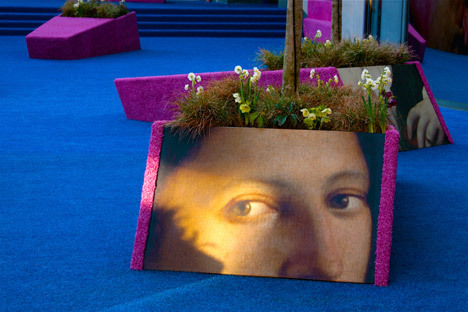 “The cost-free flowing use of colour is contrasted with enlarged information of drapery depictions taken from Palma de Vecchio paintings, as properly as with details of some of the faces seen in favourite topics of the so-known as Holy Conversations that depict mythological and allegorical topics as conversations in extraordinary landscapes,” explained Fink. The orange area is raised slightly greater than the blue section, connected by a set of shallow measures and a gentle slope. 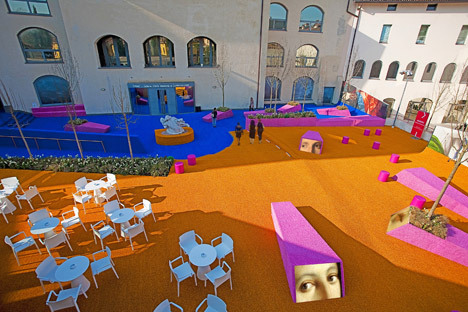 The museum’s cafe – housed in an present pavilion – spills out onto the orange turf with white tables and chairs supplied for al-fresco dining. 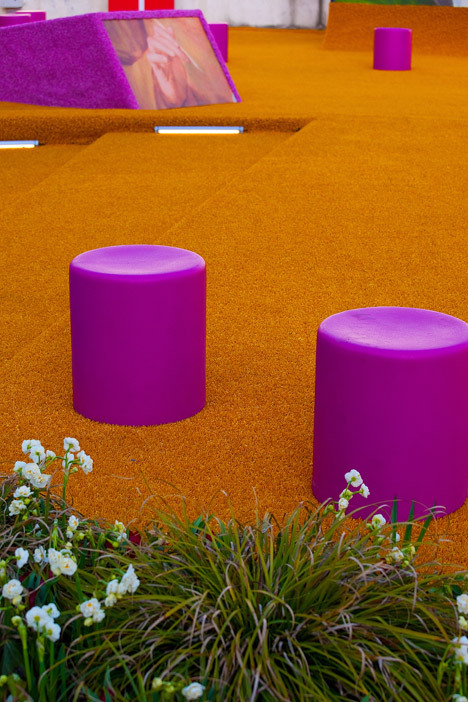 Modest pink stools offer you added seating, and visitors are also encouraged to rest on the sides of the planters. Photography is by Leonardo Tagliabue.